LeVar Burton is an African-American actor who began his career by playing the role of Kunta Kinte in the miniseries Roots (1977) before going on to become the host of PBS’s Reading Rainbow (1983-2009). Read on to find out more about the talented actor, director and author who is also a well-known contributor to the Star Trek franchise, first as Lt. Commander Geordi La Forge and then as a director of a couple of episodes. LeVar Burton was born Levardis Robert Martyn Burton Jr. to Erma Gene (née Christian) and Levardis Robert Martyn Burton Sr. on February 16, 1957, at the U.S. Army Landstuhl Regional Medical Center in West Germany. His father worked as a photographer at the military base while his mother was an English teacher, a social worker, and an administrator. Following his parents’ divorce when he was just three years old, Burton moved to Sacramento, California where he and his sisters were raised by their mother. His mother was a strong Catholic who influenced her children to attend Catholic school due to her belief that it provided quality education. At the age of thirteen, LeVar Burton enrolled at the St. Pius X Minor Seminary in Galt, California, in the hope of becoming a priest. However, by the age of 17, he dropped out of the school after developing doubts about the religion when he read the works of philosophers such as Søren Kierkegaard and Laozi. Burton went on to get a drama scholarship to attend the University of Southern California where he became a member of the Sigma Alpha Mu fraternity. As a sophomore, Burton attended his first audition and was cast to play Kunta Kinte, the lead role in writer Alex Haley’s award-winning television miniseries, ‘Roots’ (1977). In his acting debut, Burton put in a performance that earned him an Emmy nomination for Best Actor in a Drama Series as the series broke all viewing records when it aired. After becoming the talk of the town, Burton began getting a number of offers. He appeared in a number of television movies including ‘Dummy’ (1979) and ‘Guyana Tragedy: The Story of Jim Jones’ (1980) before he got to host and produce (executive producer) PBS’ Reading Rainbow in 1983. The show, which looked to teach young people how to read, ran for 23 seasons and earned over 200 awards, most notably 26 Emmy Awards and a Peabody Award in 1993. LeVar Burton himself received 12 personal Emmys for his work as host and producer of the show. In 1987, LeVar Burton starred as Lieutenant Commander Geordi La Forge on ‘Star Trek: The Next Generation’. He was further given a chance to direct a few episodes of the show in 1993 where he cast the first African-American female astronaut, Dr. Mae C. Jemison, as a guest star. Burton further reprised his role as La Forge in other Star Trek productions. In recent times, LeVar Burton has appeared in the TNT series ‘Perception’ and also as a fictionalized version of himself on ‘The Big Bang Theory’. He also continues to do a lot of directing and is currently on the board of directors for the Directors Guild of America. LeVar Burton is said to have an estimated net worth of around $6 million which he has earned from his almost four-decade-long career in Hollywood as an actor, director and TV presenter. He is also a businessman who has significant investments in the media company called RRKIDZ which acquired the global rights to the ‘Reading Rainbow’ brand. 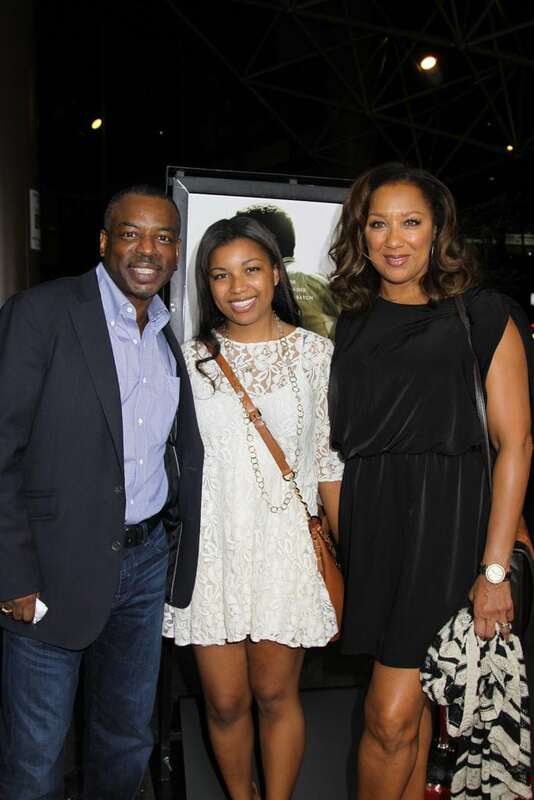 LeVar Burton is married to professional make-up artist Stephanie Cozart-Burton. It is not clear when and how the pair met but they got married in 1992 and currently live together in Sherman Oaks, California where they have a home. Together the couple has a daughter named Michaela “Mica” Burton who works for a news division of the media and entertainment company Rooster’s Teeth. Burton has a son named Eian Burton who was born 1980 from a previous relationship. Birth Name: Levardis Robert Martyn Burton Jr.